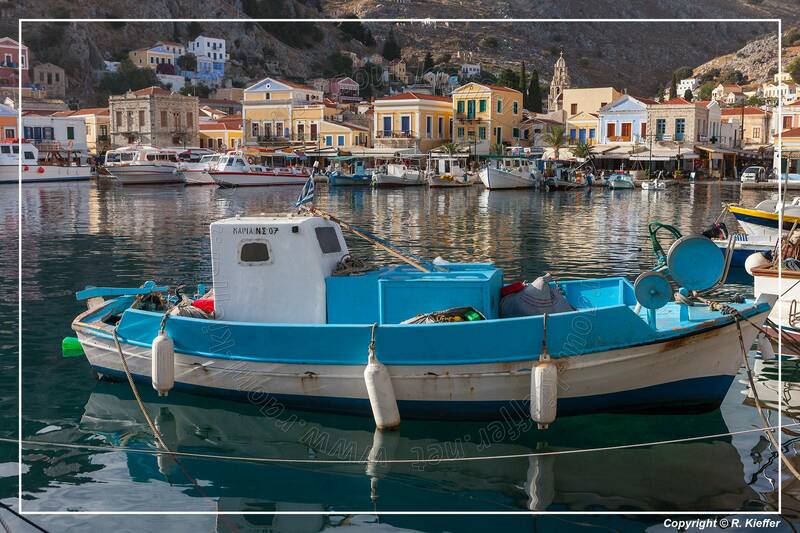 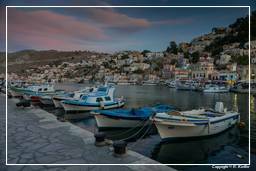 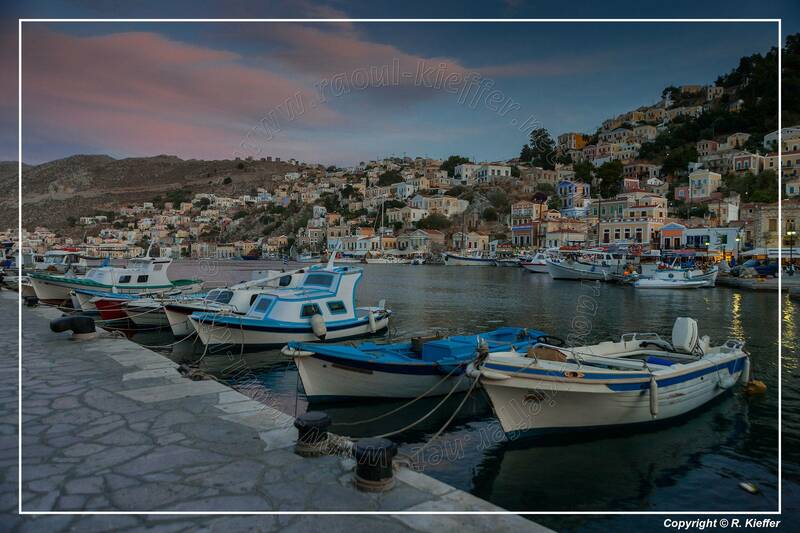 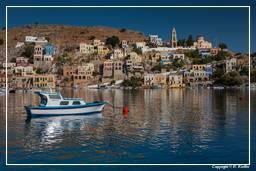 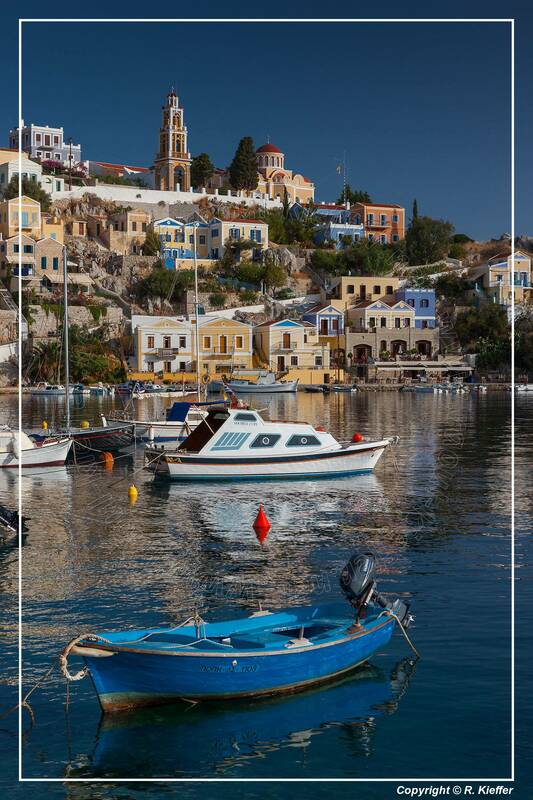 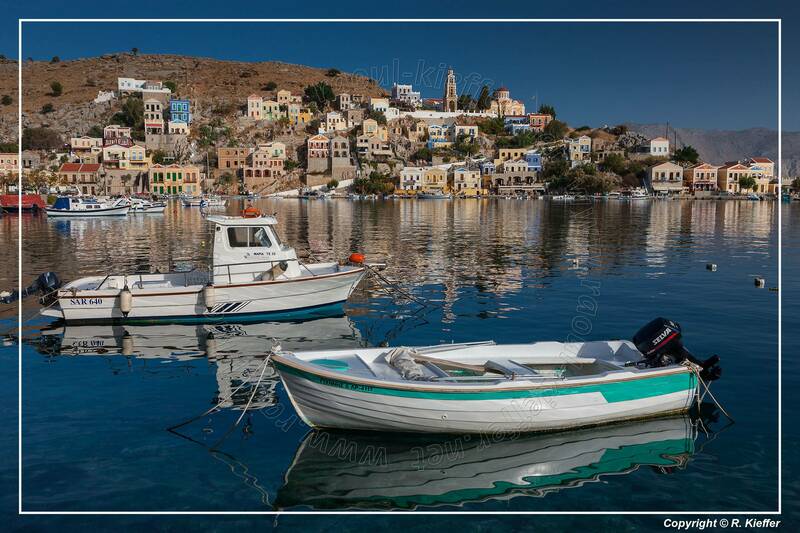 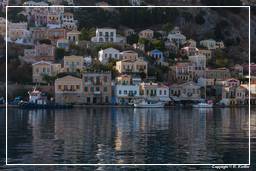 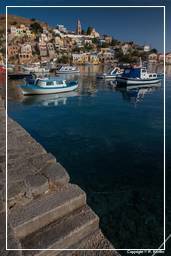 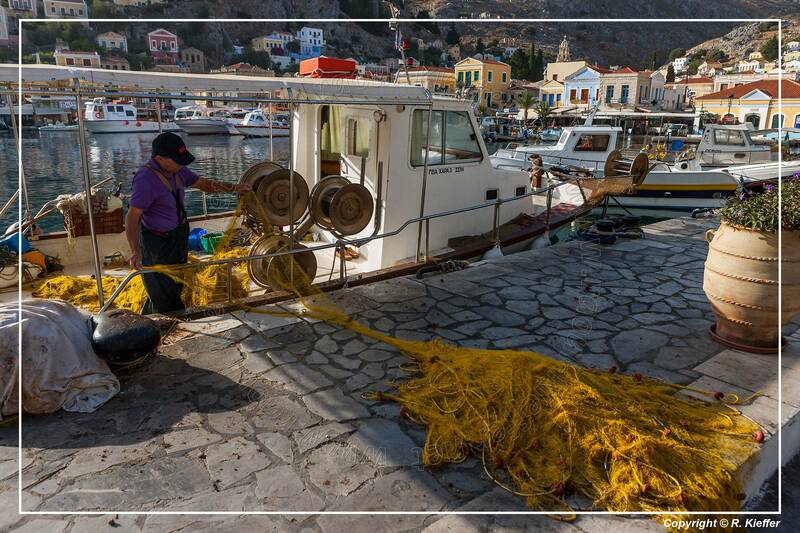 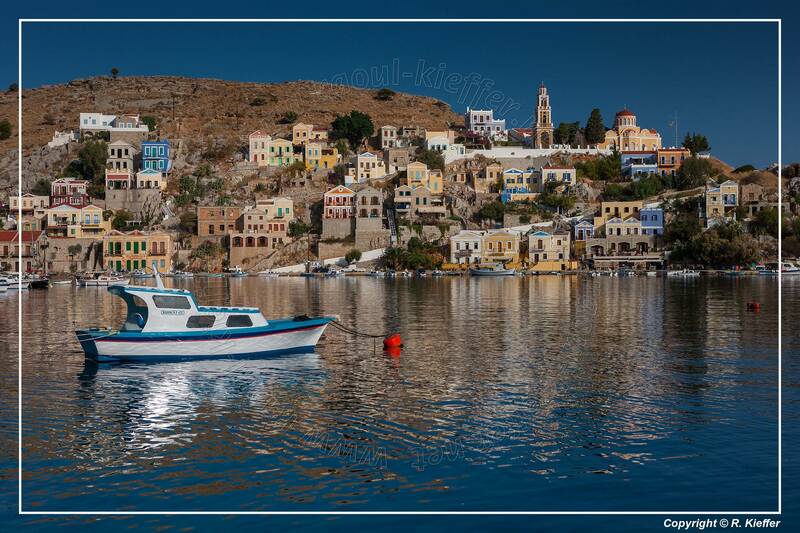 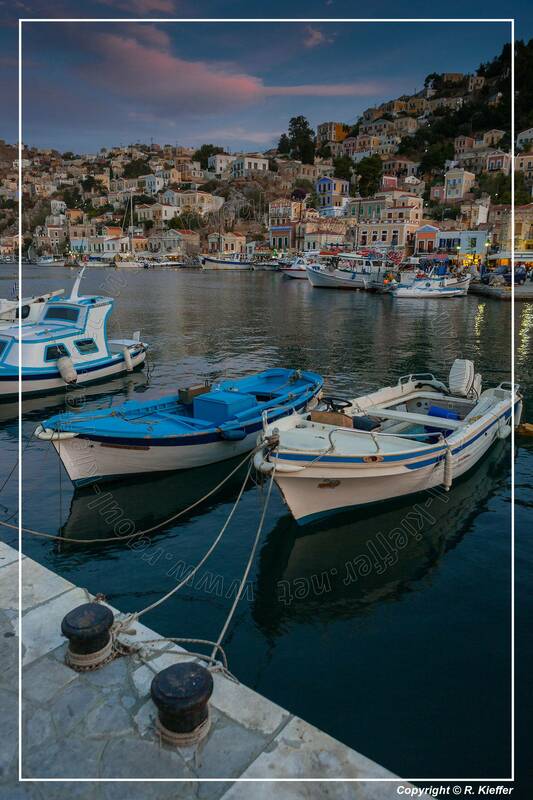 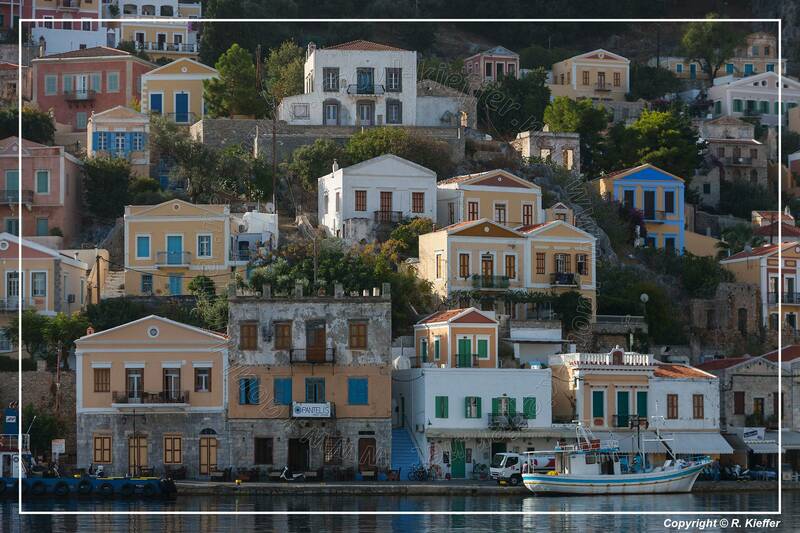 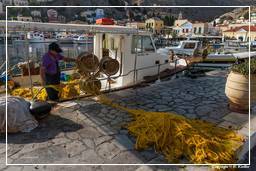 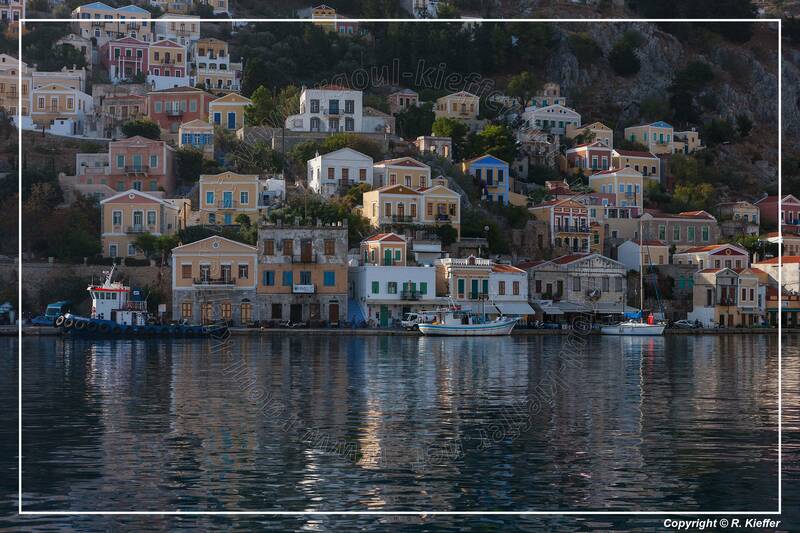 Symi (Σύμη) is a mountainous Greek island and includes the harbour town Yialos and its adjacent upper town Chorio, as well as several smaller localities and areas of significance in history and mythology. 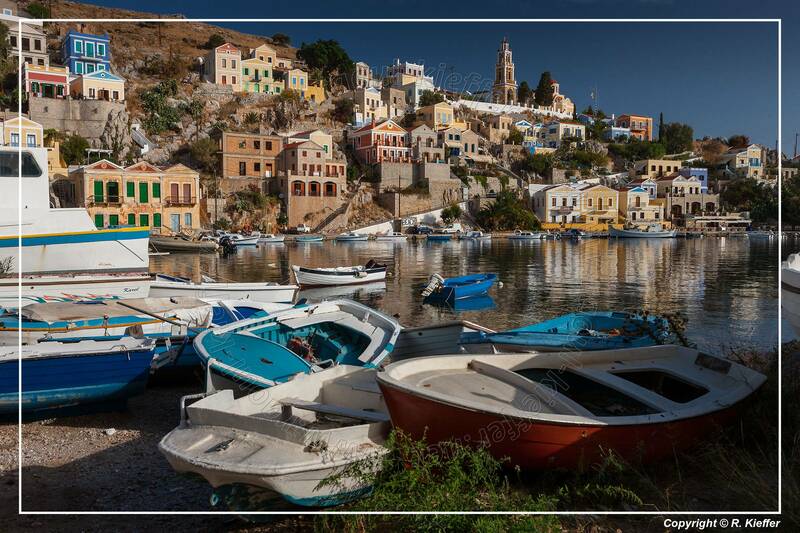 The shipbuilding and sponge industries were substantial on the island and, while at their peak near the end of the 19th century, the population reached 22,500. 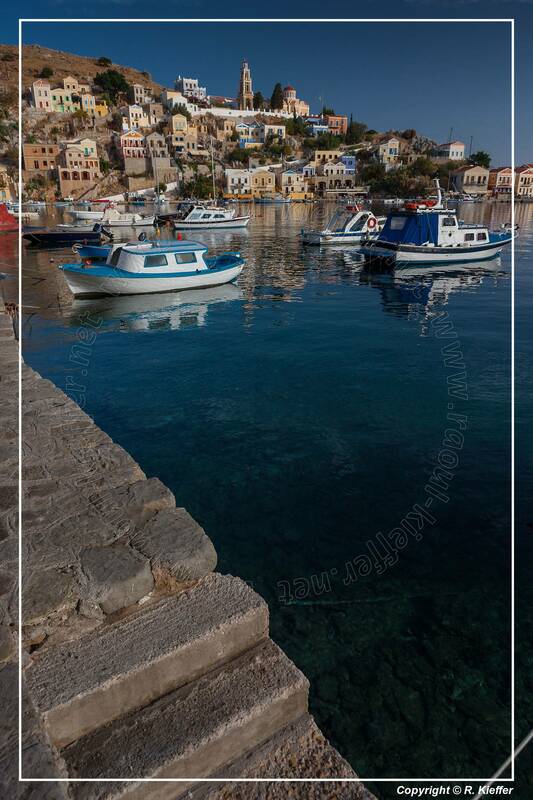 The Greek Orthodox Monastery of Taxiarchis Mihail Panormitis is the most important on the island and second largest in the Dodecanese after the monastery of St John the Theologian in Patmos. 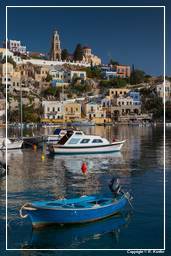 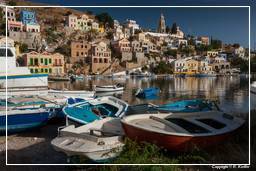 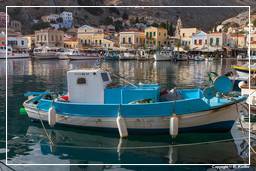 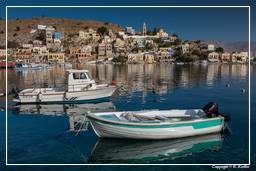 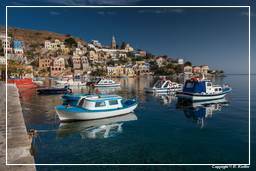 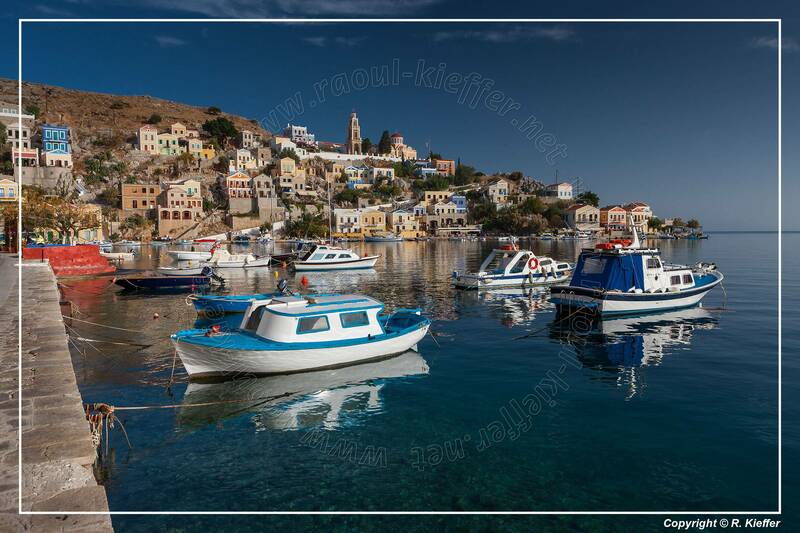 The monastery is located on the south end of Symi, situated on the sea front of the tiny village of Panormitis. The monastery is a large 18th century Venetian styled building with the highest baroque bell tower in the world. 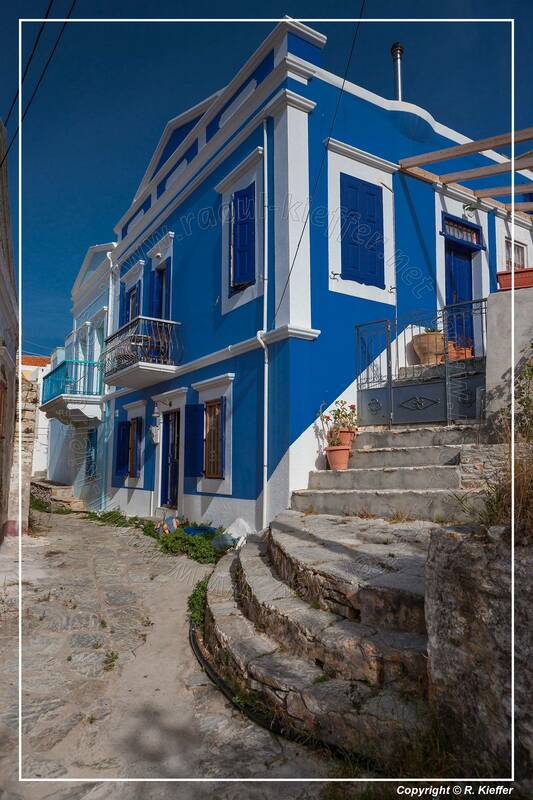 The facade of the main structure is white and it stretches along the coast on either side of the main gateway. 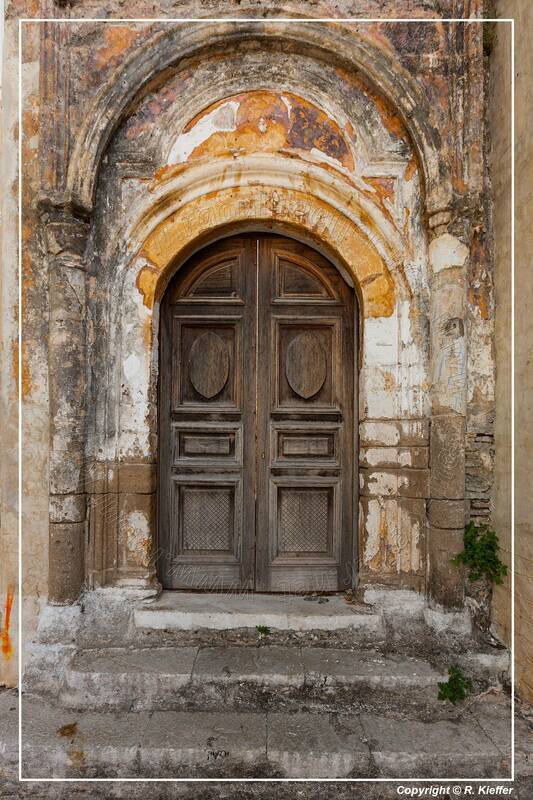 Once inside the monastery main gate, visitors are welcomed by an inner courtyard, decorated with exotic trees and plants, and paved with “hokhlakia”. The church dedicated to the Panormiti is on the left and inside contains the 2 m high, silver-leafed, wall icon of the Panormiti. 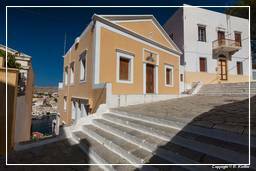 The exact historical date of the construction of this church remains unknown but some suggest that it was built around 450 AD over the site of an ancient temple dedicated to the pagan god Apollo. 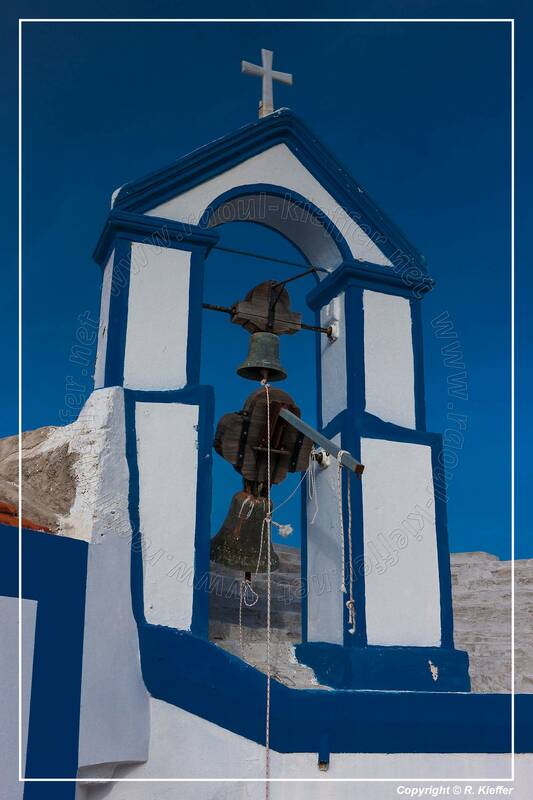 It is known for certainty that the existing church underwent a major renovation in the 18th century to bring it to the standard that is in existence today.